People do cycling for lots of reasons. Some do it for fun, others for health fitness and others want to practice eco-friendliness. 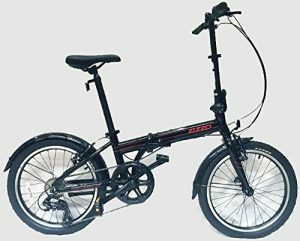 No matter your category, you will find that having lightweight and folding bicycles will enhance the convenience of use and make the exercise more profitable. 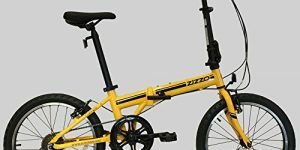 Thus, today we look at the best lightweight folding bikes available. Imagine the convenience of packing your bike into your vehicle’s trunk and finding a perfect place such as a park, where you can spend quality time doing some cycling with your family and friends. Well, it is such a lot of fun. However, you won’t be able to enjoy such fun if your bike isn’t fold-able and lightweight. In fact, a folding bicycle is an ideal solution if you want to combine the train journey with a cycle trip. In short, it allows you to do cycling wherever you are at any time you want. So, this handy commuting machine is ideal for the journey and those people negotiating for space. So, they are perfect for anyone who resides in a flat, and those who would like to enjoy caravan and canal boat holidays. Now, almost everyone loves these types of bicycles but buying the best seems to be a huge problem. We have close competing brands each boating top quality construction. However, not all of these brands would deliver satisfying riding experience. 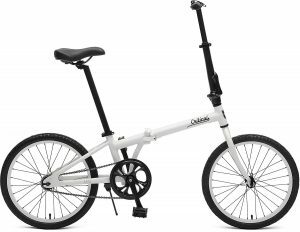 The core aspects to factor in include folding mechanism, wheel size, adjustability, sturdiness, and price. 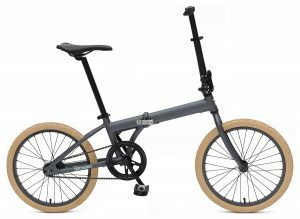 All those considerations put on a scale; we are confident that the following are the best lightweight folding bikes in 2019. 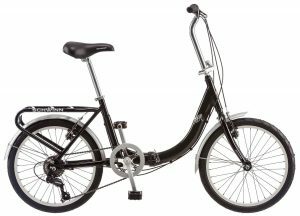 At number eight of this esteemed review, EuroMini is an incredibly lightweight bike weighing just 28 lb. However; it is twice stronger than the non-folding bicycles. This is due to the efficient folding mechanism that ensures strength and rigidity of the frame is maintained. The aluminum frame is the one responsible for lightweight of the bike. However, this aluminum metal is strong and doesn’t break easily. It folds in just some seconds and can fit in any indoor space and therefore, there is no need to leave the bike outside. Besides, it is very easy to store it in a car or a commuter train and have it throughout the journey. And if you are looking for certified seed, this bike will offer all that you need. Thanks to the genuine Shimano components and seven-speed plus grip style gear shifter. Moreover, the folded size is H-27″ L-31″ W-12.5. 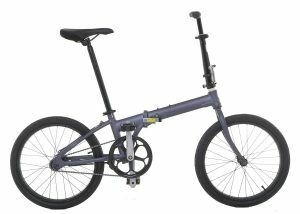 One of the lightest folding bikes that you can find in the market with only 22.05lb. It has the simplest folding mechanisms accessible where it has a collapsing time of only ten seconds. It is ideal for taking on a truck or a train when you travel with it from your home. The Shimano 105 5800 derailleur shields this bike from damage. It has Hydraulic brakes that have high stopping power and it is accessible on your right at your fingertips. The seat can be easily be adjusted to your desired height. It is made with a strong carbon fiber frame and this makes it more solid and lightweight. 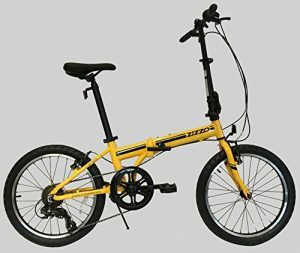 It seems Euromini brand has really specialized in making outstanding lightweight folding bikes. For this ZiZZO model, it weighs just 26 lbs since every metallic part of the bike is made of aluminum. These include handlebars, seat post, crankset, head post, rear hub among other parts. Apart from maintaining a lightweight, it features an adjustable stem to ensure riding efficiency for all riders. The gear system is Shimano Revo 7 speed. This gives you the ability to ride smoothly and speedily through all terrains. The double wall rim and all-terrain tires ensure easy and magical riding through any rough road. The folded size is H-27″ L-31″ W-12.5 and capacity it can endure is 240 lbs. Are you looking for the best bicycle that is ideal for quick transportation and storage? Look no further, this bike from critical cycles will ensure that you enjoy maximum benefits for all your riding needs. The wheel measures 20 inches and the tires are from Kendal Kwest commuter tires. The tires are very efficient since they have rounded treads and water dispersing grooves. Unlike steel and other metallic frames, the aluminum type is over 30 percent lighter making this bike convenient for transportation. Equally, it is ideal for hiking since you can carry it on your shoulder if you find the terrain unpalatable. The folded size is 10″x30″x22″ making it percent commuter machine which you can stash anywhere. Whether you need to commute or exercise comfortably, IDS Home #Unyouusual folding city bike has the answer for all your needs. It is a 20 inches bike that uses Shimano gear system which is durable and perfect for climbing tough mountains. It features a unique steel material that is incredibly lightweight for portability benefits. The gear system features 6-speed shifter which is equally efficient. The saddle is incredibly comfortable and features vinyl MTB cover. The wheels measure 20 by 1.75inches and the adjustable handlebars enhance ultimate ring comfort. Sometimes single speed bikes perform better than the multiple speed bikes. However, this depends on whether the riding terrain is smooth and without hills. Nevertheless, you can use the single speed on hilly roads when you want to put your body under strenuous exercise. If you want to burn more calories, Vilano Urbana single speed bike will be a perfect solution for you. It features coaster brake system which is durable and efficient in all-weather situations. Besides, this bike is super light as it weighs just 21.5 lbs, yet has a remarkable load capacity more than speed gear bikes. The folded size is 12″ x 32″ x 25″. Thus, you can stash it in any space whether in the car, train or your living flat. Riding around the city doesn’t require high speeds, besides the streets are quite tight. This is when the single speed bike such as this one from retrospect becomes handy. 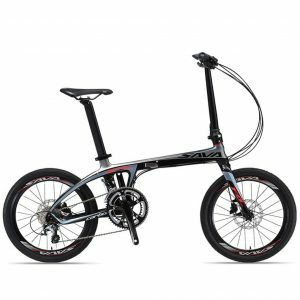 It boasts an aluminum frame which makes it 30 percent lighter than steel frame bikes. The 20 inches wheels allow smooth rolling and enhance moderate speed performance that is safe for urban riding. It features folding handlebars, top tube, and pedals. The tires are incredibly wide to enhance a table and safe riding especially when cornering. They also feature water dispersion grooves and rounded treads. Thus, this bike is ideal for riding on smooth paths that are mostly flat. 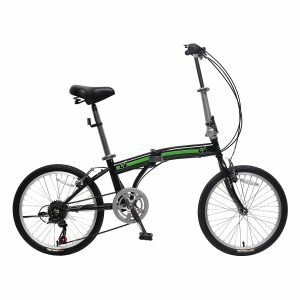 Well, as expected the number one brand in this review is Schwinn 20-Inches Loop Folding Bike. It features 7-speed gear system with shifter making it the best commuter or exercise tool for hilly areas. It features a pant guard, front and rear fenders which keeps dirt and grime off your clothes. It includes a rear rack that enhances easy transportation. The braking system uses an alloy linear pull brakes. The design features low stand over frame which enhances easy climbing and easy take off even when you are wearing tight jeans. It folds easily to a compact size that easily fits in the provided nylon bag. There is nothing sweeter than owning a lightweight, fold-able bicycle. As you’ve seen, they come with unique features to help you in achieve smooth and non-delay commuter services. Because they are easily foldable, you can take it with you even when going out for a vacation. Besides, you can decide to make some stopovers during the journey and have a fitness riding exercise. That sounds cool, but it won’t be the case with all brands of collapsible bicycles. However, there is a guarantee when you purchase the above reviewed lightweight, fold-able bikes. They are easy to fold, rigid and most of them have a gear shift system to help you ride through all terrains.